My Rovos Rail luxury train journey in Africa was a welcome and delightful interlude in the middle of a sightseeing-packed, 3-country, 16-day alumni tour. 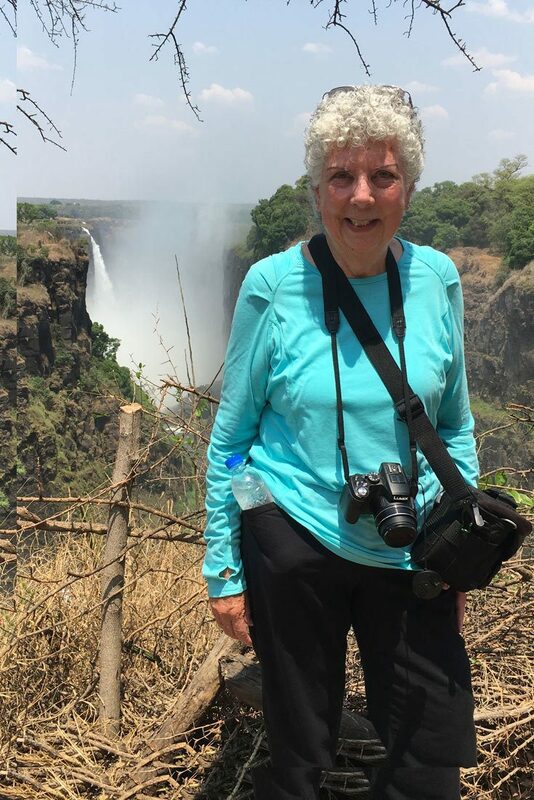 It was a leisurely 3-day journey from Pretoria, South Africa to Victoria Falls, Zimbabwe with time to sleep in, rest, read, visit with fellow travelers, and simply watch the countryside roll by. Have you been to Africa? Is it on your Bucket List? Rovos Rail captures the elegance and glamour of rail’s bygone era in several ways: the vintage rail cars, with their polished wood walls and Victorian and Edwardian furnishings, are beautifully restored; the dining car tables are set with fine china and crystal; the dinners are 4-course and 5-star, and the staff members are welcoming and efficient. In my imagination, this is how rich people traveled in the early 1900s on luxury trains like the Orient Express. Spacious and comfortable, this is my home away from home for the three day journey. Comfortable and well appointed luxury cabins await. 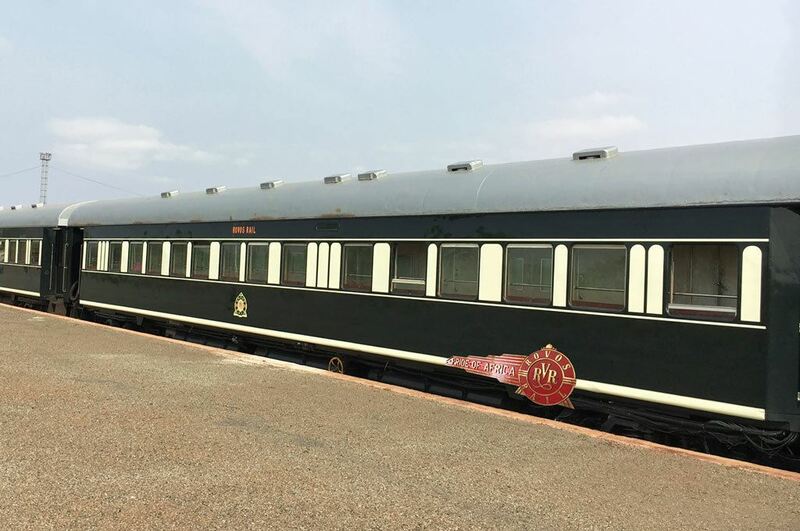 In another nod to a bygone era, Rovos Rail’s trains are not equipped with TVs or WiFi, and the company asks passengers to only use their electronics in their suites. This is why I didn’t take photos of the train’s interior common areas. Luckily though, there are dozens of excellent photos on the Rovos Rail website. Pin Rovos Rail for later! 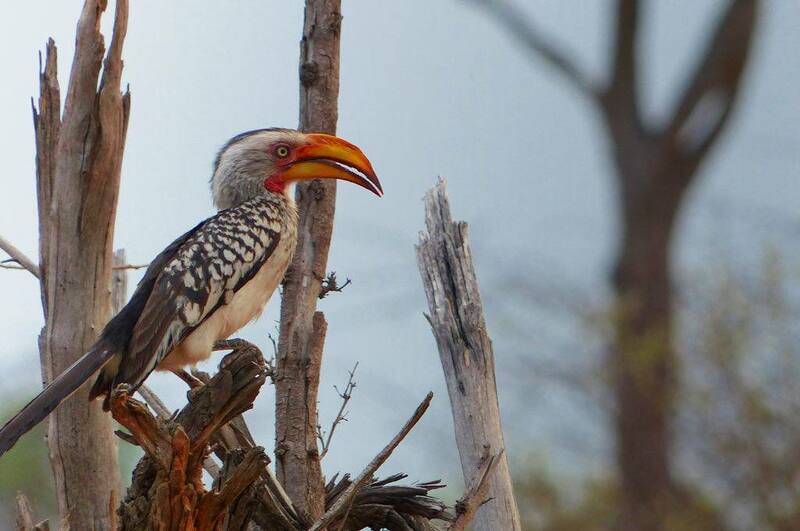 We traveled north from Pretoria, South Africa to Zimbabwe and then northwest through Zimbabwe to Victoria Falls. We departed Rovos Rail Station in Pretoria midday on a Thursday and arrived 3-days later at the falls — a distance of about 1200 km (745 miles). During our three days, we made three stops where you could get off the train. 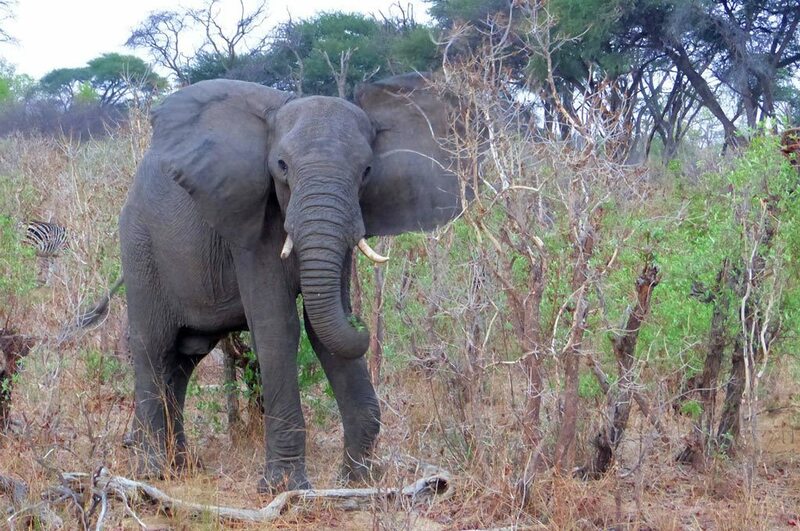 The first two were trackside stops; the third was a game drive into Hwange National Park. Shortly after crossing into Zimbabwe at Beitbridge on the Limpopo River, we stopped at a border post to get our Zimbabwe visas. The previous evening, we gave our passports and visa applications to the Rovos Rail Train Manager who took them to the border officials when we arrived (for more on visas, see “Visa Requirements” later in this post). During the 3 hours it took for the Zimbabwean officials to process the passports, we were able to walk around and get some exercise. There wasn’t much to see, but I did get a short video of a pair of dung beetles frantically rolling their little bundle of joy (dung-wrapped egg) to a safe place to hatch. Late afternoon on the second day, we stopped briefly at a siding near the town of Gwanda. Dozens of local people had set up tables near the tracks with items for sale. It was nice to get off the train for a bit, and I especially enjoyed interacting with local people who were very friendly and very eager to sell their wares. 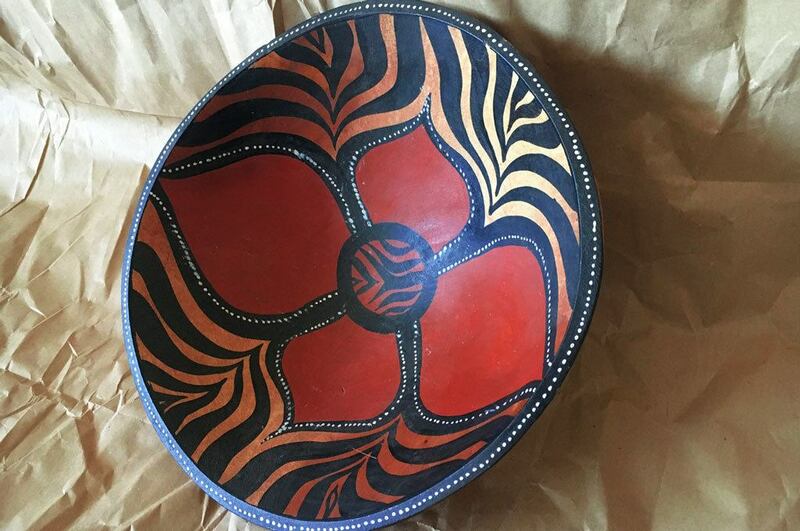 I bought a few items including this beautiful bowl. Mid afternoon on the third day, we stopped at Kennedy siding and went on a game drive in Hwange National Park. 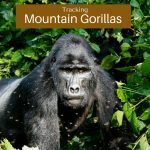 We saw lots of elephants, zebras, baboons, impalas, a few wildebeests, crocodiles, a yellow hornbill, and caught a glimpse of jackals running through tall grass. 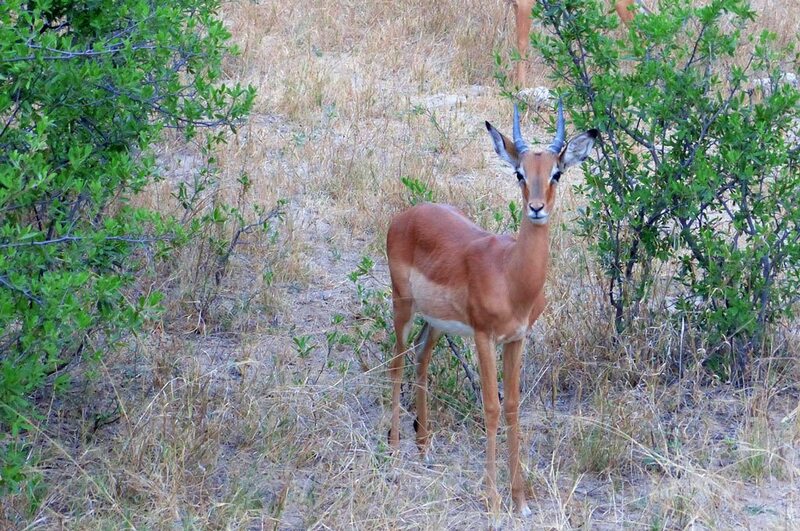 The photography here was a bit hampered by the canvas roofs on the vehicles, but the game drive was great. It’s incredible to be so close to these beautiful birds and animals in their natural habitat. As the sun set, the game drive vehicles gathered together, and the staff served drinks and snacks. If the setting sun is visible, they call this ritual a sundowner; otherwise, it’s just called a downer. 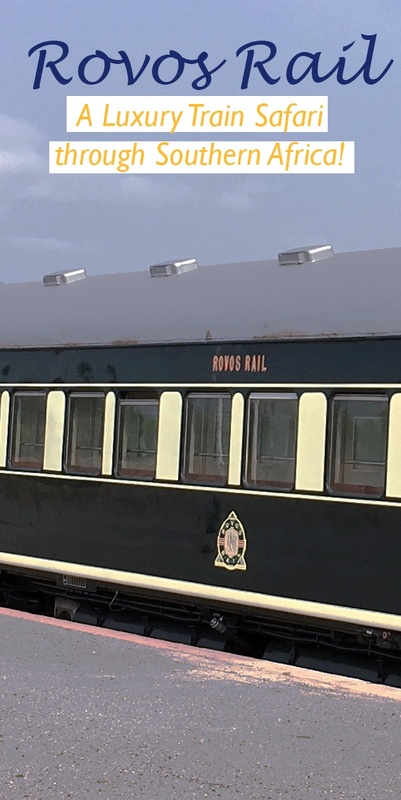 Rovos Rail is a family owned and operated company, which was founded by and still owned and operated by Rohan Vos. It started as a hobby and grew into a very successful business. 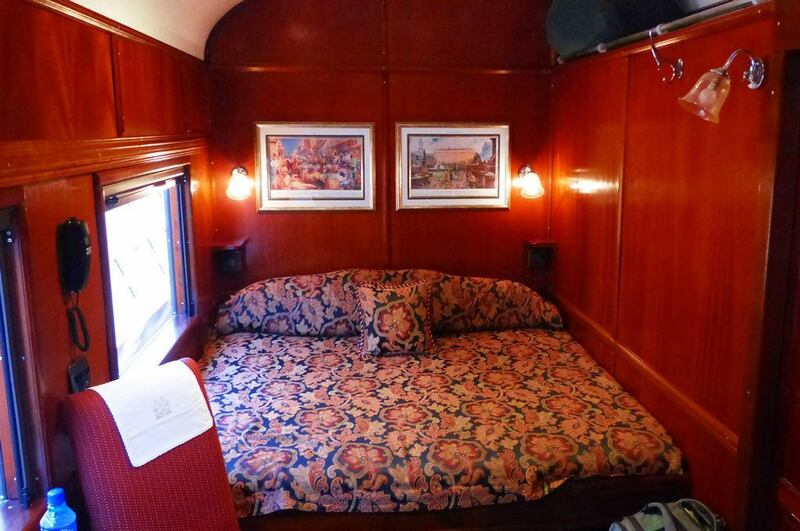 It all began in 1985, when Mr. Vos purchased a few vintage rail cars and had them restored for his own use. Overtime, he added engines and more cars and now Rovos Rail operates eight routes in Southern Africa. The company Headquarters is in Pretoria, South Africa where most of the routes start or end; collectively, the eight routes include travel into Botswana, Namibia, Tanzania, Zambia, and Zimbabwe. See the Rovos Rail website for trip details and descriptions of all the Rovos rail journeys. 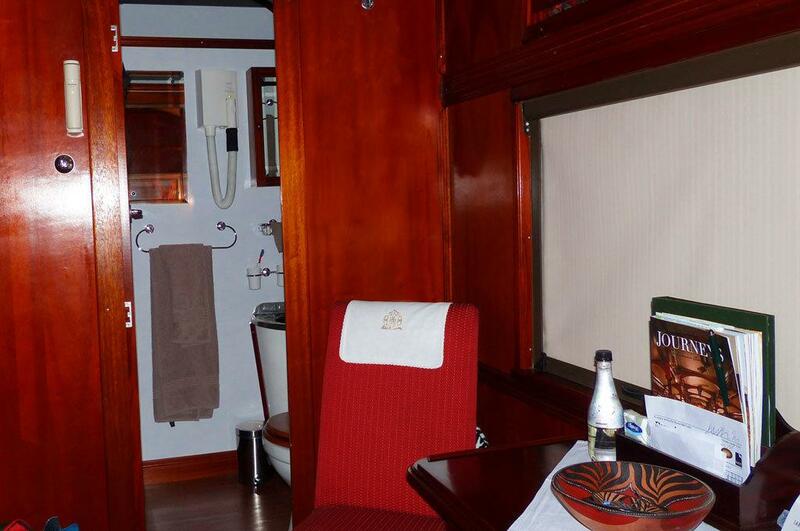 The Rovos Rail website also has lots of photos of the train’s interior and views along the routes. The suites are well equipped and provisioned. 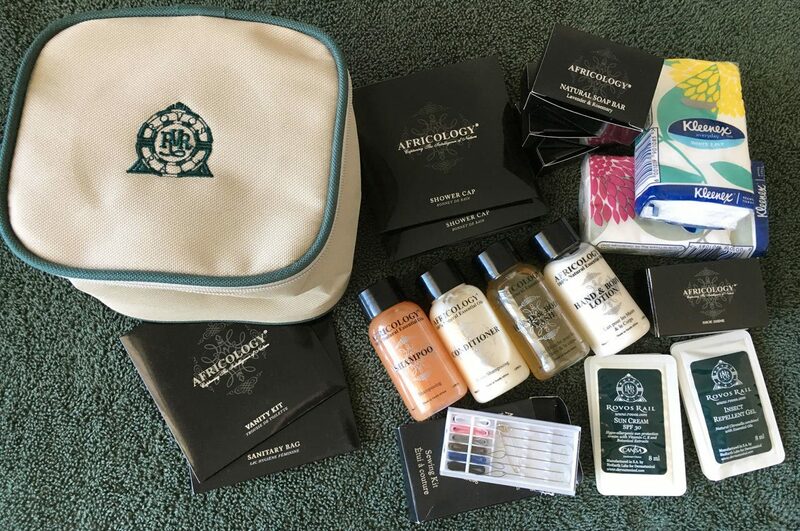 They have air conditioning, private bathrooms, comfortable beds, a mini-bar stocked with snacks and drinks (which are included in the price of the tour), and the nicest, most complete amenities kit I’ve ever seen. Dinner is semiformal (jacket and tie for men; dresses or suits for women). The trains are slow and delays happen. The tracks in South Africa are less than ideal and in Zimbabwe they are poor. So the train travels about 65 km/h at best and is subject to delays. On my trip, the engine failed about an hour out of Victoria Falls, and the delay cut our time at the falls from 4 hours to just one hour. Zimbabwe: Travelers from most countries, including the US, Canada, and all European countries, need a visa to enter Zimbabwe. 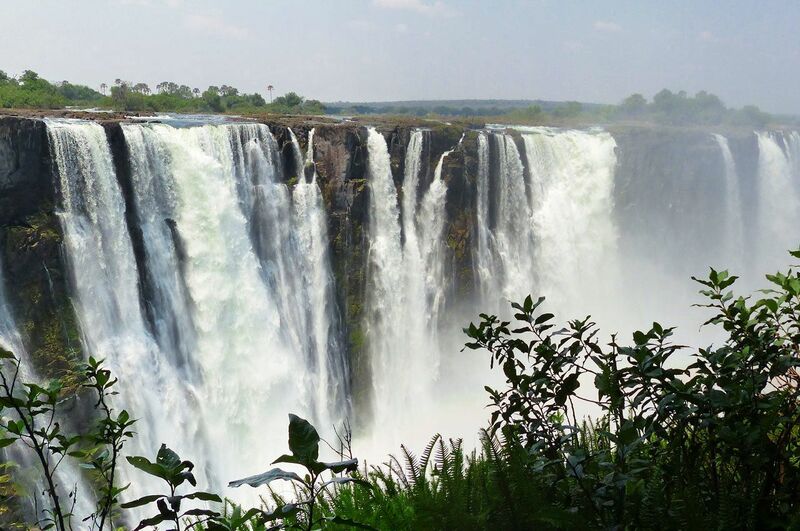 This Victoria Falls Guide website lists the countries whose citizens need visas. The recommended way to get them is to buy them at the border when entering the country. Zimbabwe no longer has its own currency and uses US dollars instead. You need to present your passport and visa application along with the exact amount in US dollars. On Rovos Rail, the Train Manager took care of the visas for us. We gave her our passports and visa applications, and we paid the fee when we got our passports back. My double-entry Visa was $45 (a single-entry visa is $30). South Africa: Visitors from Europe, America, and many other countries do not require a visa to visit South Africa, but check the Republic of South Africa Department of Home Affairs website to be sure. Wildebeest lounging beside the railroad tracks. A great view from our coach. 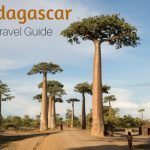 For weather that is not too hot or too cold, spring and fall are the best times to visit Southern Africa. I went in October (spring). On the plus side, the trees and brush were putting on new growth and leaves, which the elephants, giraffes, and zebras seemed to love. 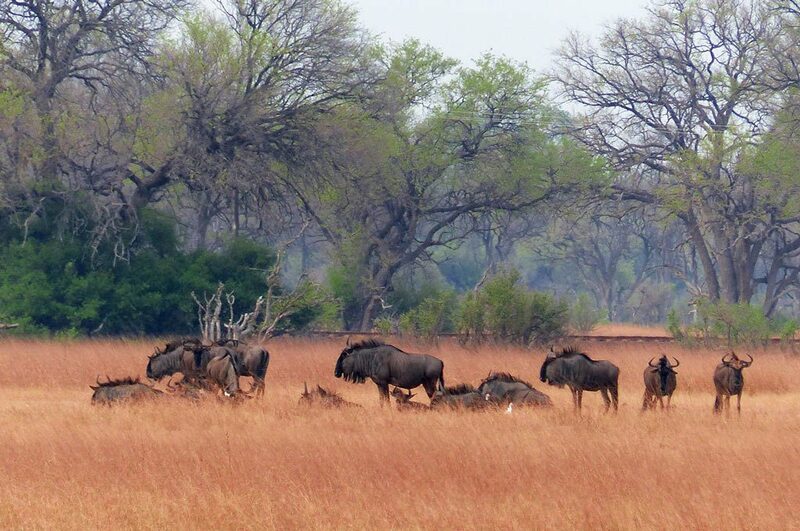 Conditions were perfect for the game drives, and they were fantastic. 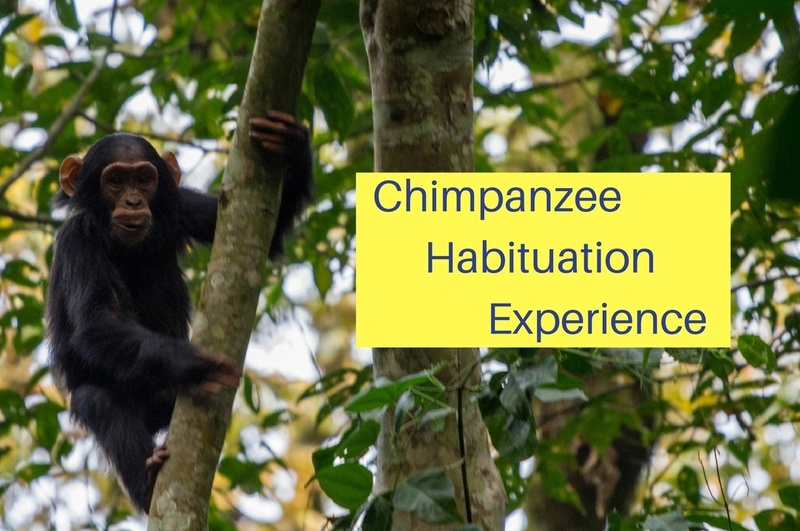 We were so often so close to so many animals, it was beyond my wildest expectations. On the not-so-positive side, the planned tours to Robben Island and Table Mountain, in Cape Town, were cancelled because it was too windy, and at Victoria Falls, the rainy season was over, so the water curtain didn’t cover the full mile as it would during winter. Nonetheless, visibility was perfect and the falls were spectacular. To book a journey, start by visiting the Rovos Rail website. The Journeys section provides details about all of their routes; the Rates & Dates section provides schedules and prices. Note that the prices are listed in South African Rand. The trek on Rovos Rail from Pretoria to Victoria Falls was midway through a 16-day tour in Southern Africa. We arrived in Johannesburg the day before and traveled by bus from our hotel directly to the Rovos Rail Station in Pretoria, where we boarded the train. After our stop at Victoria Falls, we traveled on to Botswana for two days and then returned to Victoria Falls and flew back to Johannesburg. Overall, this was an amazing trip. 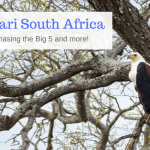 I loved it all, and I especially loved the game drives in Thornybush, Hwange, and Botswana. They more than made up for the fact that our visits to Robben Island and Table Mountain were cancelled and our stay at Victoria Falls was cut short. It’s not uncommon for some portion of a trip to go awry. Bad weather, labor strikes, and equipment breakdowns happen. 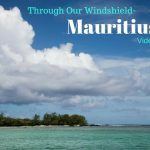 I try not to be disappointed because some of my best travel memories occurred when we worked around some disruption and ended up having a totally wonderful and unexpected experience.